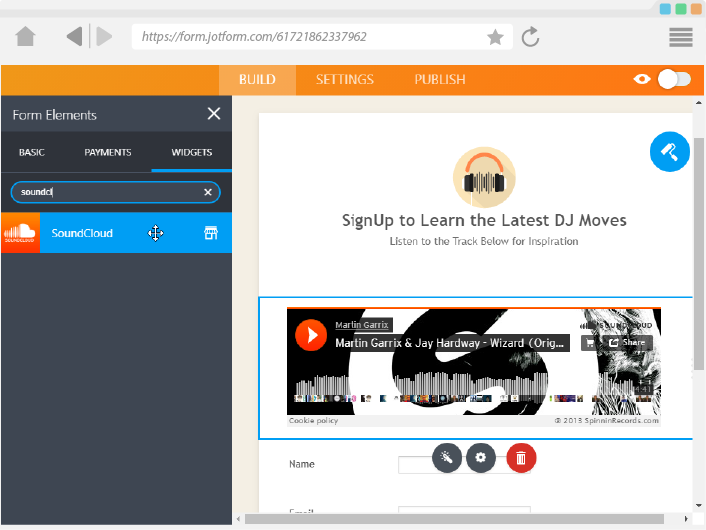 As one of the most popular sound sharing platforms, SoundCloud is used by musicians, voice-over technicians, DJs, narrators, teachers, students among many others who want to make and share audio files. 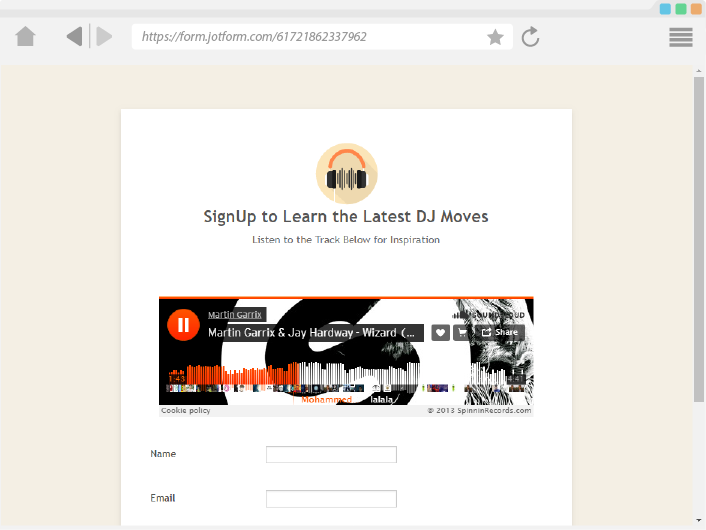 You can now leverage the same powerful platform by embedding your audio file right on your form. You can provide guidance to fill the form, present a clip for your form users to evaluate or review among many other uses. 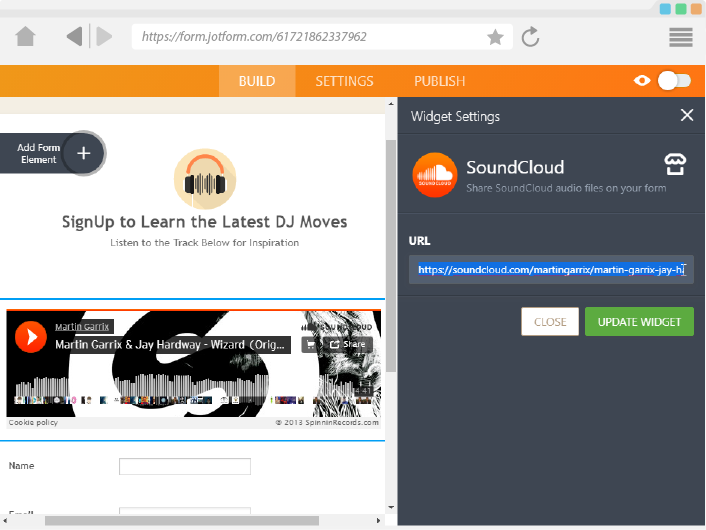 The SoundCloud widget is easy to use; you only need the SoundCloud URL to the sound you need to share, copy it then paste it in the widget settings dialog. Fill the form while listening the form instructions! Amazing!